Who doesn’t want glowing skin? It not only makes you look more attractive but is also a sign of good health. And you don’t have to resort to using expensive cosmetics to achieve it. Ancient Ayurvedic treatments for glowing skin works wonderfully if combined with a healthy lifestyle. It takes time and effort, though. A clear case of ‘no pain, no gain.’ But it is worth the effort and long-lasting. We have mentioned below the best Ayurvedic treatments that will make your skin radiant. Take a look. Mix sandalwood powder, almond powder, and coconut oil in a bowl to form a smooth paste. Apply it to your face and keep it on for 20 minutes. Rinse well. You can apply this paste 2-3 times a week. 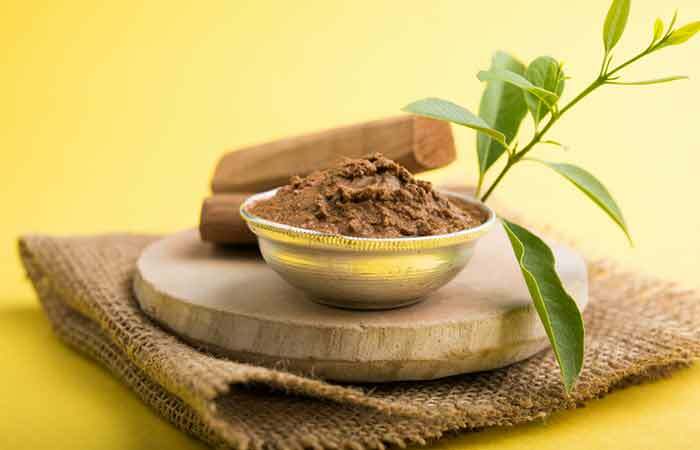 Sandalwood is antiviral and antiseptic and eliminates pimples and boils on the skin. It also has a bleaching effect on the skin. Almond powder not only lightens your skin tone but also provides nutrients that boost skin health. Take a bowl and add turmeric and rice flour to it. Pour tomato juice into the bowl and mix well. Apply the paste gently to your face and neck and let it dry for half an hour. Apply this paste 3-4 times a week. 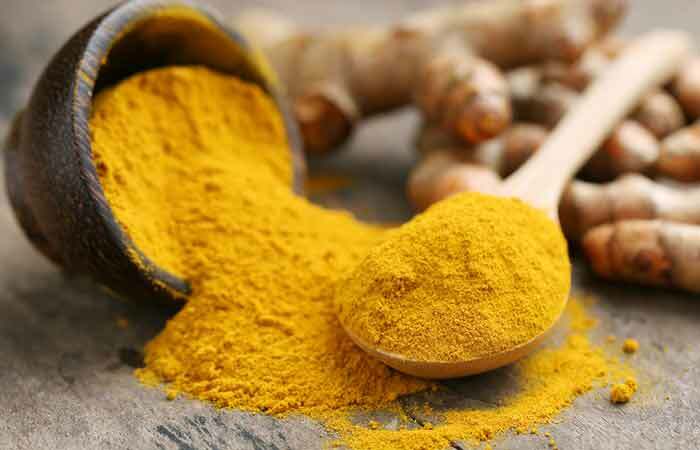 Turmeric is antiseptic and an excellent exfoliating agent. Rice flour has skin whitening properties, and tomato juice lightens dark spots on the skin. Add the lemon juice to the aloe vera gel and mix well. Apply the mixture to your skin (like a moisturizer) and leave it on overnight. Rinse it off in the morning and pat dry. You can do this every night before going to bed. 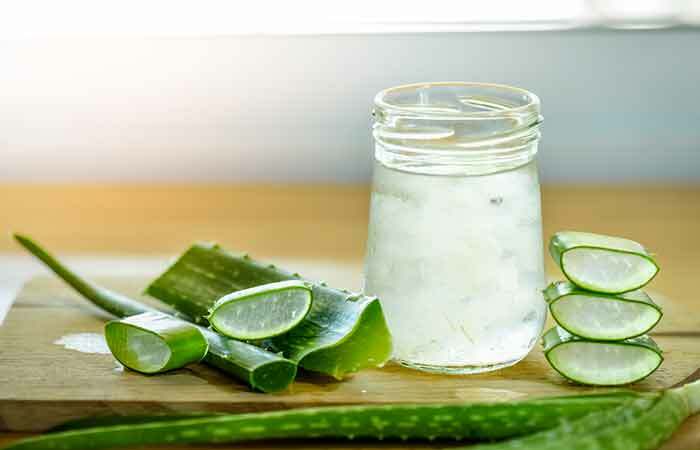 Aloe vera has antioxidant properties that protect the skin from free radical damage. It reduces inflammation and makes the skin firm. Lemon, on the other hand, cleans and brightens the skin. 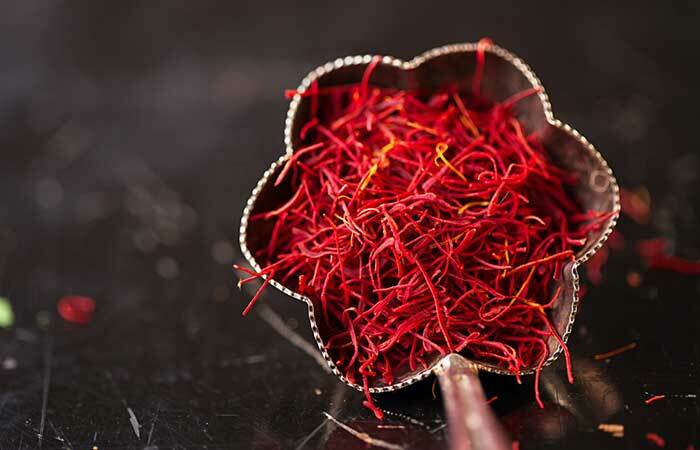 In a cup of distilled water, soak the saffron strands. Once the water turns yellowish golden, add olive oil to it and mix well. Soak a cotton ball in the liquid and apply it gently to your face. Leave it on for 15 minutes and then rinse it with cold water. Saffron treats blemishes and acne, lightens your complexion, and improves the skin texture. Olive oil fights whiteheads and blackheads. Rub kumkumadi oil between your palms and massage it gently into your skin for 5 minutes. Let it stay for 20 minutes. Rinse it with lukewarm water. You can apply the oil 3-4 times a week. Kumkumadi oil removes tan and reduces the appearance of blemishes on your face. It also has antibacterial and antioxidant properties that aid skin health. Grind the holy basil leaves and neem leaves into a paste and add rose water to it. Mix well. Apply the paste to your face and let it stay for 20-40 minutes. Rinse it off. 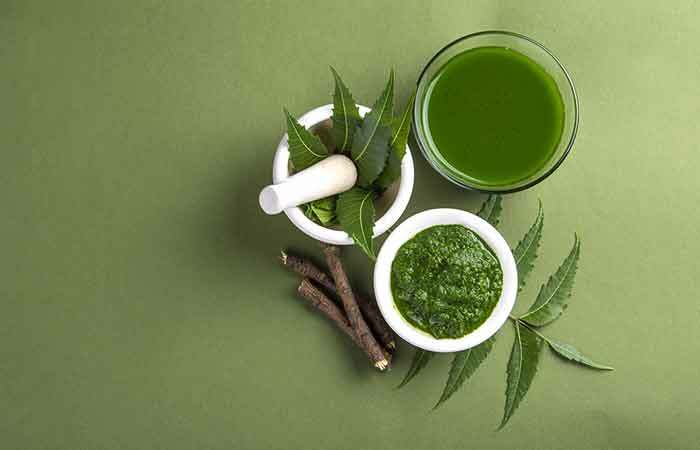 Neem revives dull skin and reduces pimples and acne. Basil treats skin irritations and sores and boosts skin cell metabolism. Add the gooseberry powder and papaya to a bowl and pour warm water into it to form a paste. Apply it to your face and leave it on for 20-30 minutes. Rinse well. Gooseberry is antibacterial, antiseptic, and has an astringent effect. It improves your skin tone and complexion. 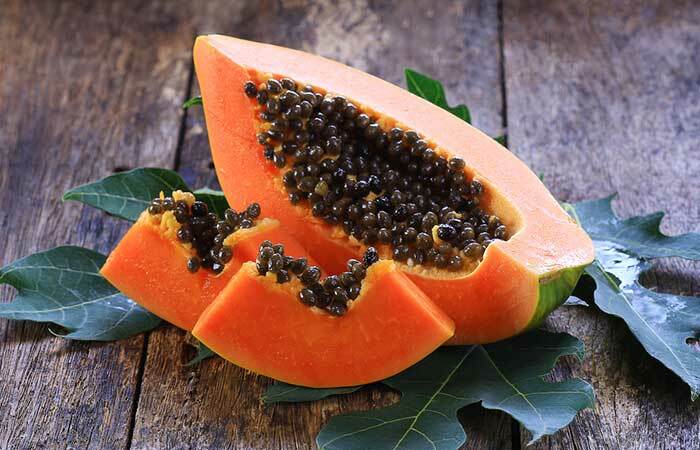 Papaya cleanses the skin and removes dead skin cells. Add the lemon juice to honey and mix well. Apply the paste gently to your skin and let it stay for 20 minutes. Rinse well. You can apply this paste daily. Honey repairs the skin and protects it from environmental damage. It also moisturizes and soothes your skin and slows down the process of aging. Mix ubtan and rose water in a bowl. Apply the paste to your face and leave it on for 40 minutes. Rinse well. Apply this paste once or twice a week. Ubtan removes tan and reduces dark circles. It also reduces facial hair and clears spots and blemishes. Take a bowl and add licorice root powder and lemon juice to it. Mix well. Apply the paste to your face and leave it on for 30 minutes. Rinse well. You can apply this paste once or twice a week. 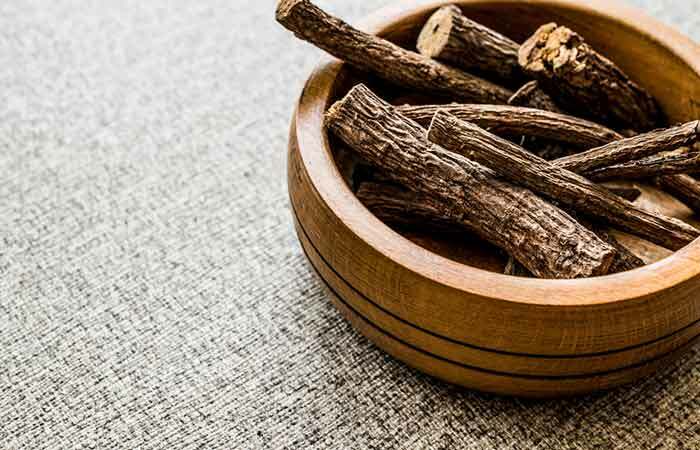 Licorice root clears the skin and protects it from pollution and sunrays. 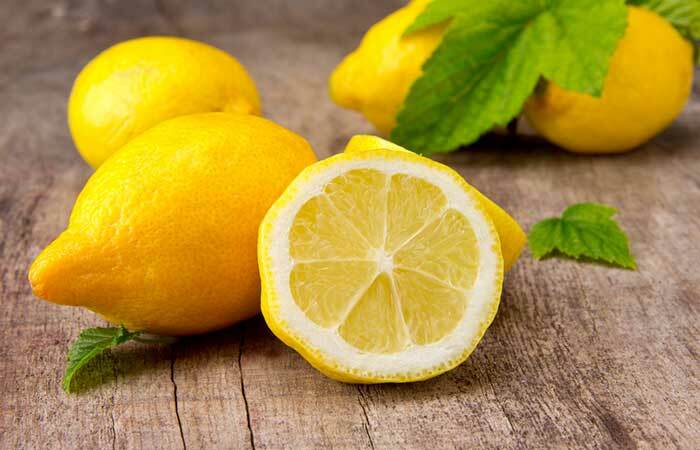 Lemon prevents zits and improves the skin tone. The ancient healing science of Ayurveda has natural and effective remedies for every problem and has the best treatments for enhancing your skin and hair. From that ancient repository, we picked the best treatments for you to attain glowing skin. Try them and do let us know how they worked for you in the comments section. Are Ayurvedic treatments better than store-bought remedies? Well, each has its benefits. However, in the case of Ayurvedic treatments, you know what the ingredients are. Also, since they are natural, they will not cause damage to your skin. 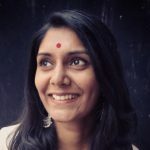 Do Ayurvedic treatments have side effects? Not necessarily. But they can cause allergies in those who have sensitive skin. It is best to do a patch test in that case.